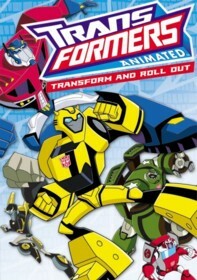 Transformers: Animated is a television show in the Animated genre starring David Kaye, Corey Burton, and Tara Strong. The tv show first appeared on air on 2007-12-26. Our users found the overall impression of this television show to be Exciting. The tv show's official site can be found at www.hasbro.com/transformers.